It’s no surprise that the Trump administration is pressing its efforts to quash affirmative action in admissions, rescinding Obama-era policy aimed at promoting diversity in education and instead bolstering race-blind admissions in schools at all levels. After all, Attorney General Jeff Sessions last year took aim at affirmative action, announcing that the Department of Justice would investigate and sue institutions of higher education that it determined had discriminated against white applicants in admissions decisions. And President Trump seems obsessed with undoing just about every single thing Barack Obama did when he was president. Race-based affirmative action has been losing support in the United States for some time with other “color-blind” methods of admissions gaining ground in the courts. But there are still compelling arguments for why affirmative action in admissions based on race is still needed — not only to reverse historical discrimination but also because research has shown that diversity in schools helps low-income students as well as wealthier ones. This remains true even though U.S. public schools have become more segregated by race and class over the past two decades. Why would a nation that has based its greatness (at least it used to) on its melting pot of cultures NOT want diverse classrooms and NOT take overt action to achieve that goal? The notion that college admissions are based on some sort of meritocracy is, well, silly. The students with the biggest advantage are those from wealthy homes, who have had the luxury of attending well-resourced schools and enjoying a variety of learning experiences outside of school that the poor and even middle-class can’t afford. Those things clearly give them an edge in getting into selective magnet schools and colleges and universities. There’s also the super-wealthy who can donate millions to a college and win admissions for a child. 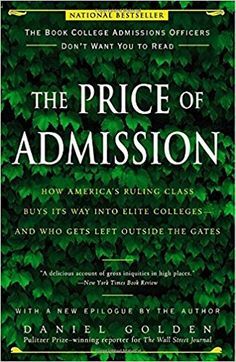 Dan Golden, author of “The Price of Admission: How America’s Ruling Class Buys Its Way into Elite Colleges — and Who Gets Left Outside the Gates,” wrote that Jared Kushner, Trump’s son-in-law, was admitted to Harvard after a multimillion-dollar pledge by his father, which the Kushner Cos. denied. Still, Golden’s book includes administrators at Kushner’s high school who said he was not a stellar student and that they were surprised he had been accepted to Harvard. Richard Rothstein, a former New York Times national education writer and senior fellow emeritus at the Economic Policy Institute who wrote “The Color of Law: A Forgotten History of How Our Government Segregated America,” has written extensively about why affirmative action based on race remains important, especially for African Americans. He takes issue with those who have supported “color-blind” affirmative action that relies on socioeconomics. Even for low-income families, other groups’ disadvantages — though serious — are not similar to those faced by African Americans. Although the number of high-poverty white communities is growing (many are rural; solicitude for these prompted Texas Republicans to support the Ten Percent Plan), poor whites are less likely to live in high-poverty neighborhoods than poor blacks. Nationwide, 7 percent of poor whites live in high-poverty neighborhoods, while 23 percent of poor blacks do so. 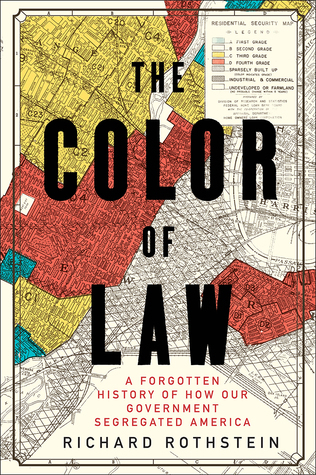 Patrick Sharkey’s “Stuck in Place” showed that multigenerational concentrated poverty remains an almost uniquely black phenomenon; white children in poor neighborhoods are likely to live in middle-class neighborhoods as adults, whereas black children in poor neighborhoods are likely to remain in such surroundings as adults. In other words, poor whites are more likely to be temporarily poor, while poor blacks are more likely to be permanently so. . . . Yet knowing merely that middle-class African Americans have accumulated less wealth, live in less-advantaged neighborhoods, or more recently joined the middle class does not itself justify granting them preferences. Many opponents of affirmative action believe these disparities are either blacks’ fault or the result of ill-defined, unfortunate historical experiences for which blame can no longer be assigned. Affirmative action’s defense requires showing how these disparities result from clear constitutional violations — what Justice Ginsburg calls an “overtly discriminatory past, the legacy of centuries of law-sanctioned inequality.” The defense also requires showing that these violations’ effects have not so dissipated over time that a victim class is no longer identifiable or a remedy practical. An 1883 Supreme Court opinion pontificated that “when a man has emerged from slavery . . . there must be some stage in the progress of his elevation when he takes the rank of a mere citizen and ceases to be the special favorite of the laws.” Two decades after emancipation, the Court’s view that the stage had already arrived was ridiculously premature. Is it still? . . .
Why are there too few middle-class African Americans in selective universities, and what is the moral, legal, and historical justification for putting a thumb on the scale to compensate? Are direct effects of past discrimination still so pervasive that the 14th Amendment requires affirmative action? On average, students in socioeconomically and racially diverse schools — regardless of a student’s own economic status — have stronger academic outcomes than students in schools with concentrated poverty. A school survival guide for parents (and everyone else), from education policy to psychology, by Valerie Strauss on Fridays, The Washington Post.